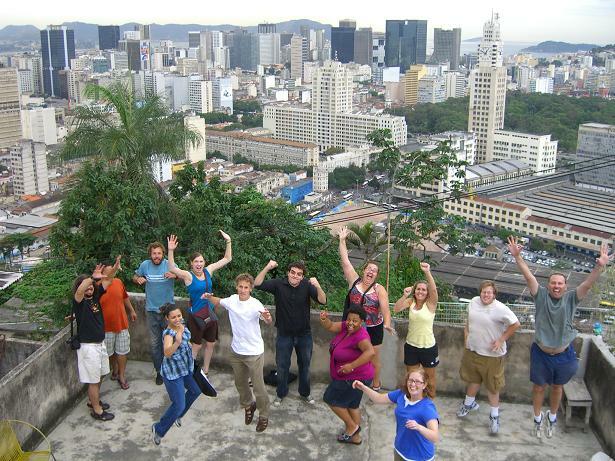 Since 2004 Catalytic Communities has worked with groups from visiting universities, graduate researchers, journalists, conference goers, and volunteer groups to provide tailored educational visits to favelas across Rio de Janeiro that support their specific research, service and educational needs. Together with local community partners, we’ve led over 1,500 visitors from 20 countries through a wide range of favelas: ‘pacified’ and non-pacified, economically vibrant and residential, large and small, old and new, steep and low-lying. We look to engage visitors with the favelas they visit, either through direct volunteer service, the publication of articles voicing community concerns, supporting relevant research, or ongoing awareness-raising around the issues faced by residents beyond their departure. Guided by local leaders, rather than large NGOs, government officials or tourism companies, one gains a deeper and more complete understanding of the unique character, achievements and challenges of that favela, while also benefitting the local community. Local leaders know everything about a community, from its geography and demography, to how infrastructure and politics work, to the local hotspots and cultural engines that drive the neighborhood. Most importantly, they provide insights that others may gloss over or simply do not have, allowing visitors to gain a truer picture of local dynamics and have their questions answered. 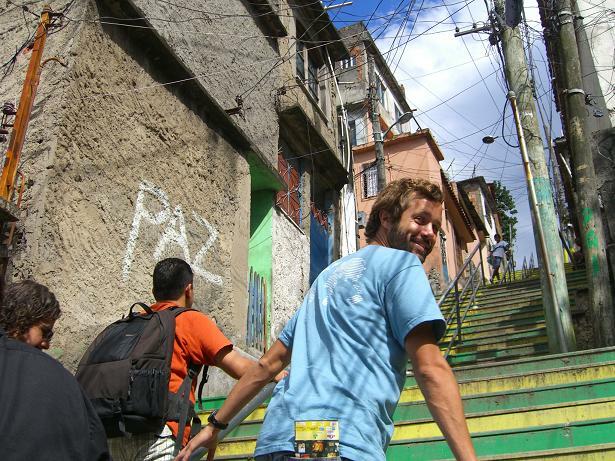 They, in short, are the most knowledgeable guides to Rio’s favelas. A typical community visit takes 4 hours including travel, but shorter and longer visits are sometimes arranged based on the needs of participants. The visit includes a discussion with CatComm staff about the broader political, cultural, social and economic context of Rio, and a direct look at the details of the community in question through the eyes of local leaders. CatComm staff also provide translation assistance. CatComm requests donations of US$60-$80 per visitor ($80/visitor for 1-9 people, $70/visitor for 10-19 and $60/visitor for parties over 20). Donations are divided equally to benefit the community organization receiving visitors and sharing their community’s stories, and Catalytic Communities, which organizes the visit and provides contextual information and translation (to English) throughout. The entire donation directly supports Rio’s favelas. Address where you are staying. Nature of the group (university, journalists, conference-goers, tourists, local network, etc.). Professional interest/s of group members. Thematic interest in Rio’s favelas (if there is something in particular you would like to learn about). We will then reply suggesting appropriate visits and then coordinate with local leaders accordingly to help design your visit. Bulletin on Latin American Research‘s Ghettourism and Voyeurism, or Challenging Stereotypes and Raising Consciousness? We do not run corporate “favela tours” but rather non-profit educational visits for universities and journalists who we hope will engage with the community during and after their visits and whom we hope will carry the awareness produced far and wide. We also encourage you to read up on current events in the community you’ll visit beforehand by searching for it on RioOnWatch. We can also provide specific reading materials should you request them. In the past CatComm has organized visits for the University of Pennsylvania Graduate School of Design, Harvard Graduate School of Design, the University of North Carolina Chapel Hill Kenan-Flagler Business School, CIEE, Montana State University Architecture Department, Institute for Management Development, University of Delaware Latin American and Iberian Studies, Syracuse University Department of Anthropology, Carleton College, Georgia Tech Sam Nunn School International Affairs, Augustana College, Louisville Presbyterian Theological Seminary, the University of Cincinnati School of Planning, Yale University, Florida International University, University of Cincinatti, Dayton Ohio Chamber of Commerce, NuVu Studio, Odyssey Project, and conference-goers at the 2010 World Urban Forum and 2012 Rio+20 UN Conference on the Environment.